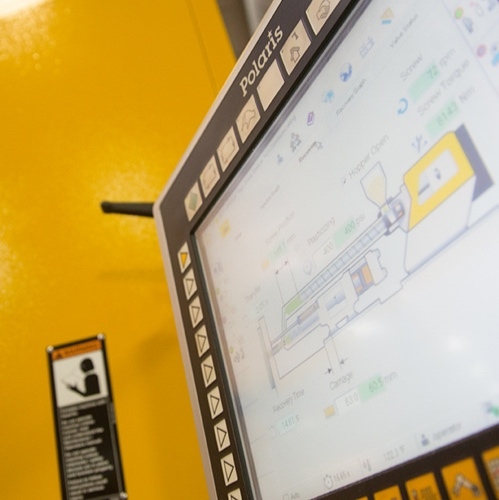 Producing a better product starts with building better equipment. To achieve the lightest plastic containers in the industry without compromising package performance, Ring engineers utilize only the latest injection and blow molders available to create our industry-leading TRIMLITE™ products and provide our customers with a competitive edge in PET. Our proprietary wheel blow mold machines* improve efficiency, increase output, reduce maintenance, and shorten changeover times. These advantages make us a leader in HDPE markets. Leadership is a full-time job. It’s not enough to be the best. We continue to improve and extend our leadership role in the plastic container industry. We insist not only on the latest, state-of-the art technology, but also on hiring the best people in the industry and giving them the intensive training and certification necessary to ensure quality and safety. Advanced protocols like our commission, qualification, and verification (CQV) process guide the successful launch of every new product. For ongoing improvement, vendor-based and customer-based improvement teams meet regularly to implement process enhancements. To ensure speed to market and long-term marketplace success, Ring provides the highest level of technical support, from design concept through commercial implementation. Optimizing both the design and manufacturing process ensures that your package will perform exactly as specified. Our Technical Center is home to a complete physical testing laboratory which enables us to conduct precision measurement and integrated computer-assisted testing for quality assurance. Our objective is to answer every question, address every concern, and streamline the entire process for our customers every step of the way.